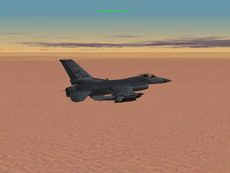 Welcome to the PMC Tactical Fighter Wing (PMC TFW) homepage of Falcon 4.0 Theater Addons! These pages try to provide you information about theaters that we are creating to the Falcon 4.0 Combat Flight Simulator. We also try to guide you in creating new Falcon 4 Theaters yourself. PMC Theaters Vietnam and Operation Desert Storm were part of the F4UT in early days. If you have problems with new theaters, read the Frequently Asked Question - before asking for others, it really helps! Tue, 18 Oct 2016 08:32:39 +0100 - PMC Editing Wiki moved to a new domain! Read more info from PMC Tactical Forums Official PMC Editing Wiki moved to a new domain! topic. Check them out from Falcon 4 PMC Theaters page. ODS 128 TE story that contains some explanations for 64 and 128 theater size differences. Some explanations for high resolution textures from our 512 resolution tiles page. The old tiling progress chart, from days of manual tiling. 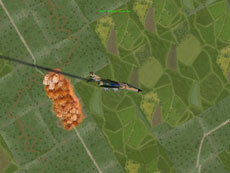 Operation Desert Storm v0.3 BETA and Afghanistan v0.1 BETA testing pages. Testing has been now closed and v0.3 released. Vietnam v0.8 BETA testing page, please report all bugs discovered. Official Falcon 4 PMC Theaters homepages. Due the efforts of Julian "Codec" Onions, who created Terrain editing tools and also F4Browse & TacEdit, we are now able to modify maps or create totally new ones. We here at PMC TFW would like to give big applause for Mr. Julian Onions and all other people who have been contributing to Falcon 4.0 community.